Park Forest, IL-(ENEWSPF)- Looking for a reason to feel civic pride? 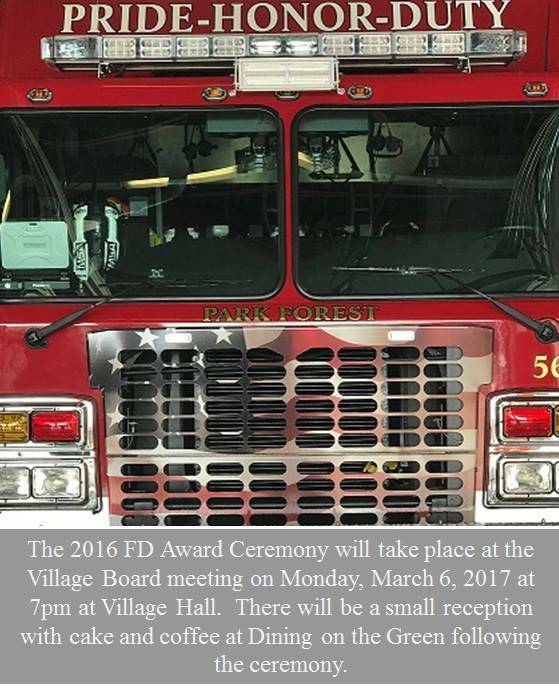 Come to Village Hall on Monday, March 6, when the Park Forest Fire Department holds its annual awards ceremony. The event will begin at 7:00 p.m.
After the awards have been presented, there will be a small reception with cake and coffee at Dining on the Green. 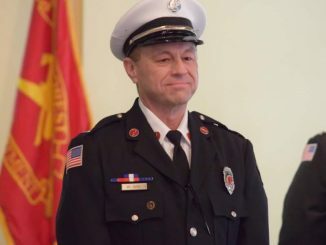 The PFFD especially encourages “all past and present members” of the department, as well as their families, to attend. Members of the public are also welcome and encouraged to attend. There is a certain formality to the proceedings. 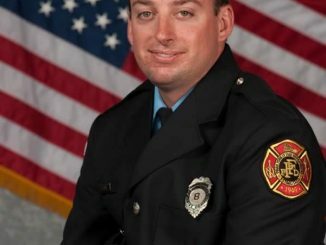 Members of the department will be in their dress uniforms. The stories, however, are well worth the price of admission. The awards ceremony recognizes accomplishments from the 2016 calendar year.